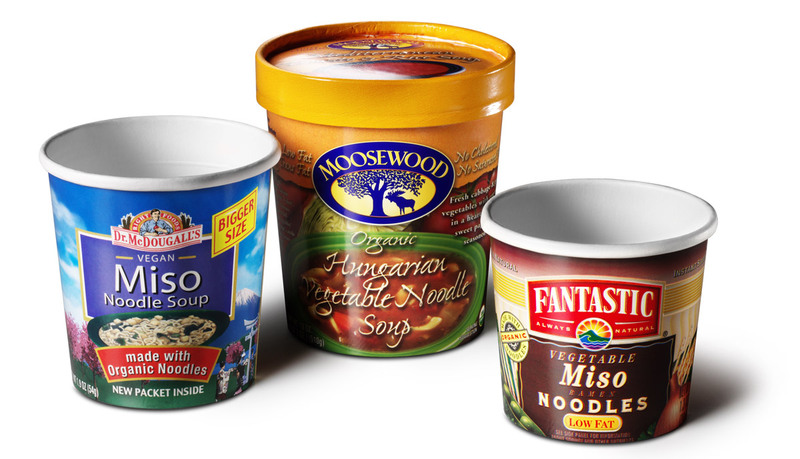 These tapered, round paperboard packages provide the perfect solution for the dried soup mix and noodle markets. The rolled top edge allows for a tabbed membrane closure for easy opening. The recessed bottom facilitates stackability on retail shelves and easy date coding. The tapered round shape replicates a bowl or cup and allows consumers to eat right out of the package. Containers can be formed on the PMC 1003, PMC 2500S and PMC 2000S machines with the option of applying overwraps in-line on the PMC OW 800 machine.